Let them have cakes, as the French queen Marie-Antoinette once said. Admittedly, things have changed a lot since the French Revolution of 1789, but this doesn’t change the fact that Marie-Antoinette had guessed it right: Everybody loves cakes. And that’s exactly why cake shops continue to be so popular in our lives. In fact, more and more independent businesses open as a way to offer something sweet and rewarding to their clients. From vegan patisseries to traditional or exotic cake recipes, the baking business is booming, and it is equipped to address a variety of client needs. With more and more independent cake shops appearing in town centers, you may be wondering what for you is the best way build a shop that will get noticed from the first day. 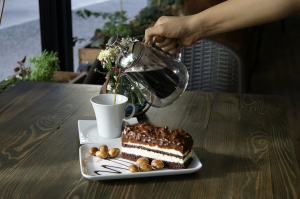 Let alone picking yummy recipes and mastering the patisserie skills, there are some essential tips that can turn your cake shop into cake heaven for those with a sweet tooth. For a start, it doesn’t matter how small your cake shop is going to be. Even if it’s nothing more than a small room with a few tables and a tiny display window, you still need to take your business seriously and provide it with professional cooking equipment. From heavy duty ovens to keeping a large cooler for your ingredients, there are plenty of kitchen tools and solutions that you need to produce amazing cakes every single time. You can’t cook professionally using the oven you’ve got in your home kitchen. You need to invest in the right equipment, for your business kitchen and the best quality display for your cakes. Have you heard of the art of visual sales? 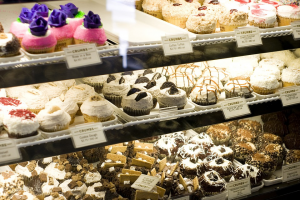 It’s the ability to manage the surrounding of the products — aka the decor of your cake shop — in a way that can enhance the experience of your customers and encourage them to buy. Visual sales require an eye for details, as you need to place each cake in such a way that every single one of your creations receives the highest possible attention. It’s a matter of ensuring that not everyone comes in to buy the same old chocolate cake and ignores all your other recipes, to put things clearly. In other words, your choice of colors and materials will play a decisive role in guiding your customers inside your shop and make them salivate. For instance, when music shops can use vintage instruments to decorate their walls, you could use pictures of your best creations and pastel colors. New in town? Get your freebies! When you’re new in an area, it can be difficult at first to attract customers. So, you may want to launch a freebie campaign to get people to your cake shop. Many customers tend to be hesitant to spend money with a business they don’t know. Consequently, sharing on social media and via flyers that you are offering a free tasting might be a good way to let them try your cakes free of charge. Consider freebies as an investment in a future customer. Everybody loves cakes, and that’s why cake shops are so trendy. But the best way to make room in a highly competitive market is to go back to traditional values. Take your business seriously, stage your cakes as best you can in a beautiful decor and offer free samples to turn hungry gourmets into customers!